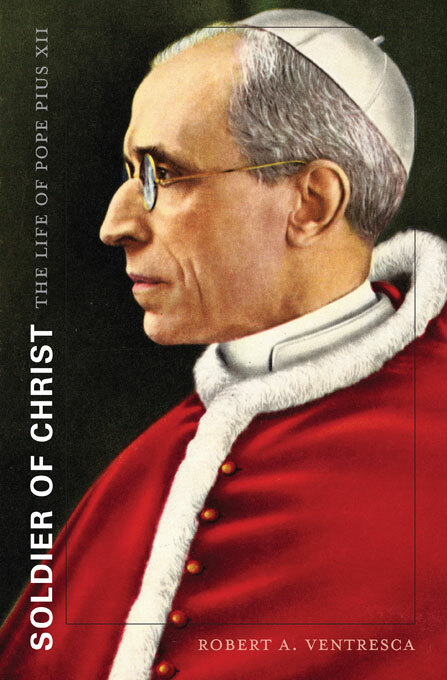 Debates over the legacy of Pope Pius XII and his canonization are so heated they are known as the “Pius wars.” Soldier of Christ moves beyond competing caricatures and considers Pius XII as Eugenio Pacelli, a flawed and gifted man. While offering insight into the pope’s response to Nazism, Robert A. Ventresca argues that it was the Cold War and Pius XII’s manner of engaging with the modern world that defined his pontificate. Laying the groundwork for the pope’s controversial, contradictory actions from 1939 to 1958, Ventresca begins with the story of Pacelli’s Roman upbringing, his intellectual formation in Rome’s seminaries, and his interwar experience as papal diplomat and Vatican secretary of state. 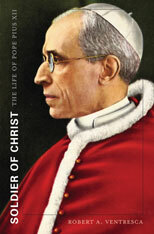 Accused of moral equivocation during the Holocaust, Pius XII later fought the spread of Communism in Western Europe, spoke against the persecution of Catholics in Eastern Europe and Asia, and tackled a range of social and political issues. By appointing the first indigenous cardinals from China and India and expanding missions in Africa while expressing solidarity with independence movements, he internationalized the church’s membership and moved Catholicism beyond the colonial mentality of previous eras. Drawing from a diversity of international sources, including unexplored documentation from the Vatican, Ventresca reveals a paradoxical figure: a prophetic reformer of limited vision whose leadership both stimulated the emergence of a global Catholicism and sowed doubt and dissension among some of the church’s most faithful servants.